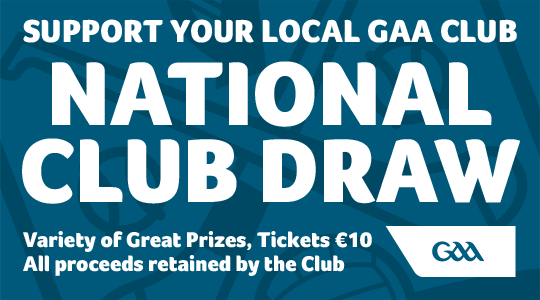 National Draw tickets will be on sale from club members from the first week in November 2017 with all returns by the end of January 2018. Tickets are £10 each with all returns sales going to the club. 1st: Car – Renault Dynamique. 20th: Shopping voucher to the value of 250euro at a retailer of your choice.